Public reaction Richard Sherman’s epic rant against opponent Michael Crabtree was harsh, swift — and racist. His team may have won the game, but Seattle Seahawks cornerback Richard Sherman still totally trashed San Francisco 49ers receiver Michael Crabtree when the playoff game was finished. Sherman later explained that Crabtree had been talking smack about him all season, and he simply took the opportunity for payback. But it’s not so much Sherman’s little speech that got people talking as much as what people were saying about him afterwards. Twitter users repeatedly referred to him as an “ape,” a “jungle monkey,” “gorilla,” ignorant, stupid, a thug, the n-word and multiple combinations thereof, to which the NFL star, who had a 4.2 high school GPA, graduated from Ivy League Stanford University, started his Master’s degree and actively supports numerous charities, did not take kindly. 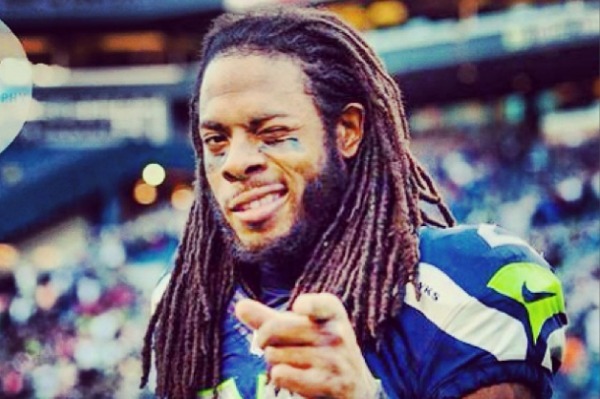 In a column for Sports Illustrated‘s MMBQ, Sherman explained what really set him off. “I ran over to Crabtree to shake his hand but he ignored me. I patted him, stuck out my hand and said, ‘Good game, good game.’ That’s when he shoved my face, and that’s when I went off,” he wrote. The Seahawks will face the Denver Broncos in Super Bowl XLVIII on Sunday, Feb. 2.